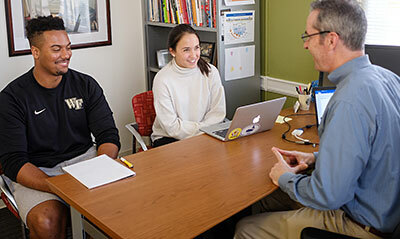 The Excellence in Advising award was established in 1988 to recognize outstanding advising in Wake Forest College, especially at the undergraduate lower division level. 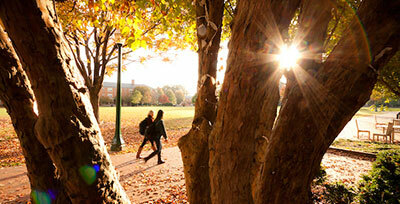 Supported by the Office of the Dean of the College, the award is both honorary and monetary. Nominations are solicited from all College faculty, staff and students with the award limited to faculty and staff advising in the College. This award is presented annually to two faculty members who demonstrate excellence in the mentoring of undergraduate students. This award was established in 1982 by the Wake Forest Circle of Omicron Delta Kappa to recognize an outstanding faculty member who bridges the gap between the classroom and student life. The recipient must contribute beyond the expected duties of teaching and research. In 1997, the award was endowed by the Kulynych Family Foundation and the name was changed to honor the Kulynych family. This award was established in 1985 to honor Chief Justice Joseph Branch (JD ’38, LLD ’83) upon his retirement from the North Carolina Supreme Court. Recipients are chosen from the School of Law faculty on the basis of outstanding teaching and service to the legal profession. This award was established in 1988 by the Wake Forest Alumni Council to recognize extraordinary community service of a respected teacher/scholar from the College. The award was named in memory of Donald Schoonmaker (’60), professor of politics. Dr. Schoonmaker was posthumously awarded the faculty prize for community service in 1993. 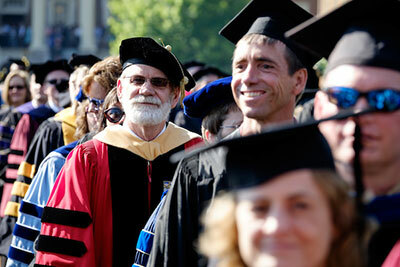 The award recognizes a faculty member in the College in the early part of his or her career. The award was established in 1971 and renamed in 1986 in recognition of the generosity of the late Wilbur Doyle who endowed the prize to honor his philosophy professor, A.C. Reid. This award is for a faculty member in the Wake Forest College who is still in the early part of his or her career. The award was established in 1971 and renamed in 1986 in recognition of the generosity of the late Wilbur Doyle (’48), who endowed the prize to honor his philosophy professor, A.C. Reid. 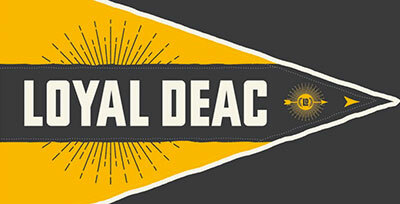 The Reid-Doyle Prize is also supported by the Alumni Council and the Alumni Association. This award recognizes an experienced member of the faculty, distinguished as a teacher in the broadest sense of the word, and recognized not only for performance in the classroom but also for exemplifying the ideals of a liberal arts education. To be considered for the award, faculty members must have held the rank of associate or full professor, or its equivalent, for at least a year.